Car Detailing in Shreveport, Louisiana | Vacuum, Wash, Wax & More! Does your car need detailing? 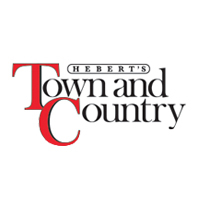 Hebert's Town And Country Chrysler Dodge Jeep Ram is the spot to get your vehicle detailed in Shreveport, LA. We’ll have it looking fresh in no time! We cut out the middle man so you save!! Same great service, same great savings and the convenience of one place for all of your automotive needs. Browse the levels of detail services below and contact us to make an appointment! Maybe your truck, car or SUV is too far gone and it’s time for a new one. If that’s the case check out our new vehicles in Shreveport today!